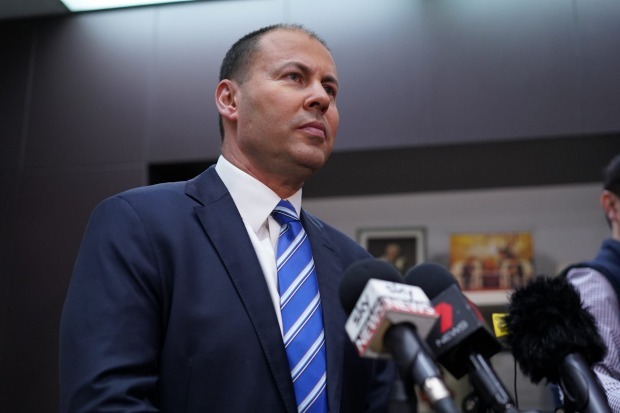 The government’s laser-like focus on getting the National Energy Guarantee (NEG) up amounts to a confession that the lack of a carbon price has resulted in the dysfunctional National Electricity Market (NEM). The entire political class in Australia carries the blame for this dysfunction. Unfortunately for federal energy minister Josh Frydenberg, he was the one left holding the parcel when the music, or power, stopped. The government now says the introduction of the NEG will restore investor confidence in the NEM. Unfortunately, the truth will be very different. The introduction of the NEG is a necessary but not sufficient condition for the restoration of investor confidence. The government points to modelling to demonstrate the likely success of the NEG. Unfortunately, the model assumes all the preconditions for the NEG’s success exist. To attract investors back to the NEM investors have to understand the scheme, and have confidence in its longevity and stability, and in the market in which the scheme operates. And that’s where the NEG will fail miserably. Mind you, the inevitable failure of the NEG has nothing to do with the scheme itself – in many ways it is a work of genius. Any emission reduction scheme based on a set of rules controlled directly by government will fail because these important preconditions cannot be met. Investors cannot manage the risks of political and regulatory gyrations, which is now an everyday feature of the Australian energy sector. Though it is unpopular to do so in Australia these days, let’s look at the real evidence for these concerns. Firstly, the NEG was purpose designed to be opaque. You can count on the fingers of one hand the number of people who actually understand the scheme. This does not bode well for investors who like things simple, especially in a world where they have many alternative places to invest their money. Secondly, it could hardly be said that the NEG enjoys broad political support. It’s not as if federal Labor is gushing with praise for the scheme. They should be, as it is widely considered to be an Emissions Intensity Scheme (EIS), which they do support. The Greens don’t support the NEG, and nor does an important group within the Coalition, and some key cross-bench members. That does not inspire investor confidence that the NEG will survive in the current or any form beyond the next election. To a large degree this lack of support relates to the separate, but associated, emission target, which is so low the NEG will simply do no work to reduce emissions. With an impotent NEG target, the states will almost certainly be politically compelled to do something to reduce emissions. This will involve the development of their own renewable schemes, or the ramping up of existing schemes. The resulting influx of renewable capacity will obviate the need for the NEG, and in any case will accelerate the demise of the remaining thermal generators. This will invite more intervention by AEMO – who never need much encouragement to intervene in the market – to manage the security problems from the disorderly entry and exit of generators from a plethora of state-based renewable schemes. Thirdly, it is fair to say the government and its unaccountable regulators do not enjoy strong support from actual investors. The government may point to the support from the Business Council of Australia for the NEG, but that does not count for much as they supported the CPRS, CPM, EIS, and CET as well. In an effort to divert attention from the root cause of the failing NEM, the government has engaged in a concerted campaign to scapegoat the entire energy supply chain for the outcomes of a market laid to waste by political infighting. The industry has been blamed for setting higher prices that reflect policy-induced capacity shortages from plant closures and lack of investment. Networks have been vilified by government and regulators and accused of gold plating because these businesses seek to recover the costs of strengthening their networks as required by higher standards set by governments, who never bothered to investigate the costs of such tightened standards. Embarrassed by the costs of their inept decisions, governments have instead pointed the finger at the network companies. And pity the energy retailers who have been accused of “gouging” by an opportunistic ACCC, because these businesses are the suckers who end up sending the bill for a conga line of bad government energy policies. 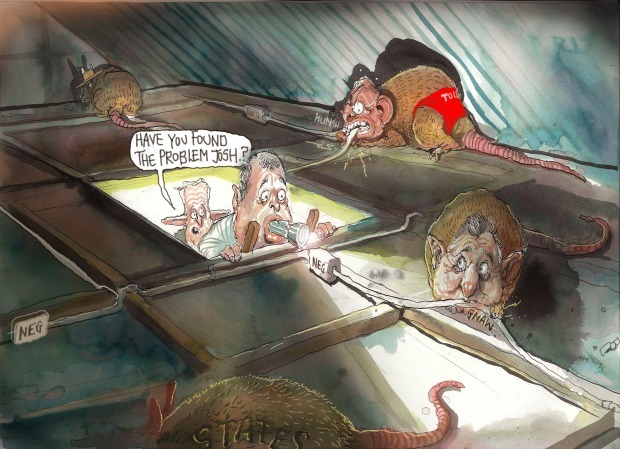 The federal government, in particular, has engaged in a concerted program of demonising businesses along the entire energy supply for the outcomes of their own policy failures. Now they expect these very same investors to front up with their shareholders money to invest in new generators that could be easily stranded if it is politically convenient. To add insult to injury, the COAG Energy Council has now approved changes to the National Electricity Law that trash the carefully designed market rule change process and governance arrangements to give investors confidence the market rules remained beyond the 24-hour news cycle. These new laws allow politicians to use their political energy arm – the Orwellian inspired Energy Security Board – to recommend its own rules, which will be waved through by politicians. The reality is that for carbon pricing to be successful it requires investors to have trust in the government and regulators. On this score, governments and regulators have only themselves to blame for the inevitable failure of the NEG, or any other carbon pricing policy, to deliver peace in our time. Danny Price is managing director of Frontier Economics. Unfortunately for federal Minister for the Environment and Energy Josh Frydenburg, he was the one left holding the parcel when the music, or power, stopped.